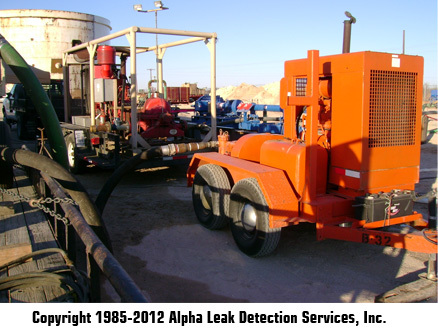 Hydro Testing on Pipelines - Alpha Pipeline Integrity Services, Inc.
Home » Hydro Testing on Pipelines - Alpha Pipeline Integrity Services, Inc.
At Alpha, we follow ASME B31.3 protocol when ensuring strength and tightness of the pipe. We will provide our customers with our professional technicians to perform a hydrostatic test, will furnish all equipment necessary to fill and test the line and the compressors, dryers and pigs to dry the line. We will also furnish the launchers and receivers necessary, the reports and PE certifications for the hydro tests. In the instance of a leak happening during a hydro test, our technicians can also find those pin-hole leaks while performing the hydro test.